I love a good chocolate chip cookie. They are probably my favorite kind of cookie. I am not too fussy when it comes to them. I pretty much like them all. Flat and chewy. Crispy and chewy. Puffy and soft. Sweet and salty. Melty and gooey. The recipe that I am sharing today is for a soft and puffy cookie, with lots of dark chocolate and flaky salt on top. 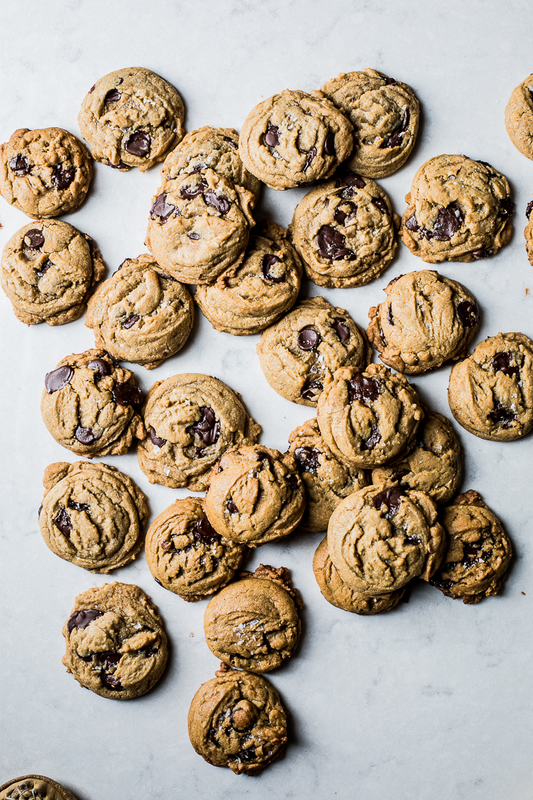 I love to use the Ghirardelli Bittersweet 60% chocolate chips when baking cookies, because I find that the chocolate easily melts out of its original shape and oozes into the cookie. 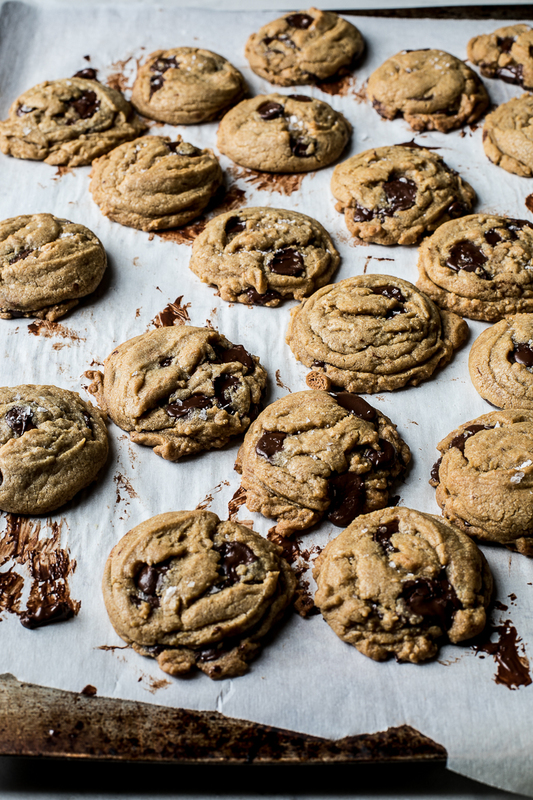 Flaky Maldon salt on top gives these cookies an extra touch. Preheat the oven to 360ºF. In a large bowl, combine the melted butter, white and brown sugars, vanilla, and molasses with a whisk until smooth. Add the egg and egg yolk and whisk to combine. Stir in the flour, baking soda, and salt with a spatula until just combined. Using a 1 1/2 tbsp cookie scoop, scoop the cookies and place 2 inches apart on baking tray. Remove from the oven and sprinkle with Maldon salt.